This webinar will examine the implications of recent open source compliance and litigation. It will touch on a series of Linux-related cases as well as stepped up compliance activity in Germany and current patent suits against Apache projects. The new litigation will be discussed in the context of prior similar cases such as the Versata-Ameriprise case. 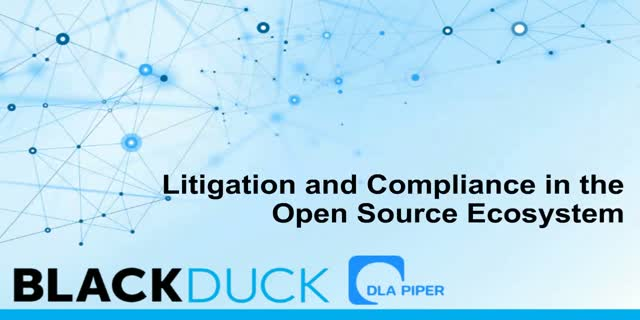 Additionally, the webinar will overview compliance best practices and how to reduce the risk of open source compliance and litigation.